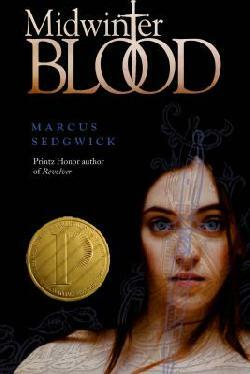 When I posted a breathlessly admiring review of Midwinterblood on January 26th, just hours before it won the Printz Award, I had no idea that I would be able to meet its author, Marcus Sedgwick, just a few months later. My friend, Danielle, emailed me a couple of weeks ago and asked if I would like to go see him at Quail Ridge Books (support your local, independent bookstore!! ), and I said, “Yes! Yes! Yes!” I knew that he had a new book coming out, too, and when She Is Not Invisible arrived at the library the day before his visit, I took it home and read as much as I could before his presentation, and then finished it the next day. Mr. Sedgwick sat down with us and talked in that charming British accent that makes Americans swoon. (Why is that?) He told us that his latest book helped him to work out his curiosity about coincidences, as well as his obsession with the number 354. If you look closely at She Is Not Invisible, you will see that every chapter title has words with three, five, and four letters. One four-page section is written entirely in words with those same numbers. Even the dedication to his daughter, Alice, has two 3-5-4 sequences. The characters in the book also run into this number continually. The main character, Laureth, takes her younger brother, Benjamin, from England to New York— without their mother’s knowledge— on a hunch that they might find their father there. She has no idea where he is, but he hasn’t been answering her texts, and she is worried that her parents’ squabbling may mean that he is doing more than just research for his next book. As risky as it is for any sixteen-year-old to travel to another country, this trip is even more complicated by the fact that Laureth is blind. Sedgwick related his experiences while doing research at the school for the blind in England. He got to know many of the students well, and when he asked them what bothered them most about dealing with sighted people, they said that it was when people treated them as if they were invisible. It was not uncommon for them to have had sighted people talk to the person beside them about them, as if they were not there or could not hear. Hence, the name of the book. Does coincidence have meaning? Do certain numbers have universal significance? 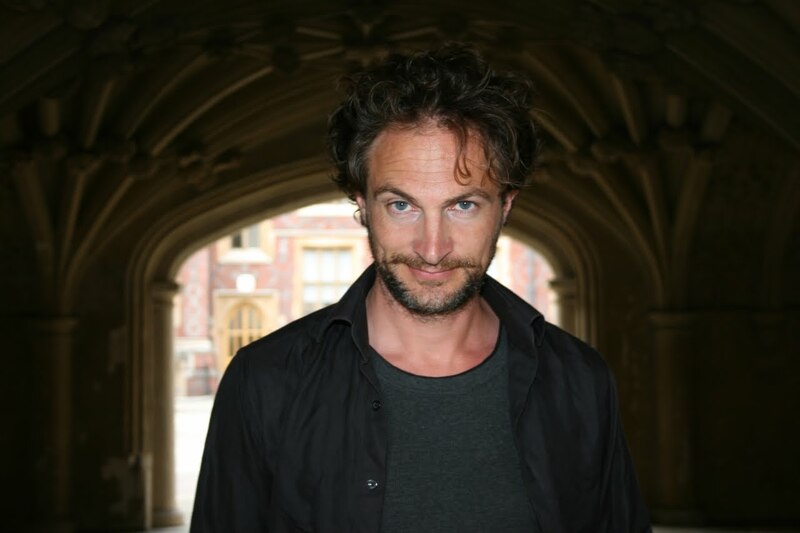 Sedgwick delves into Jungian psychology, physics, and the lives of writers in order to investigate his fascination. 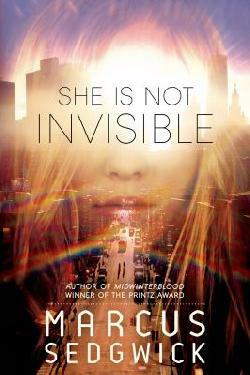 She Is Not Invisible is carefully crafted, mysterious, and appropriate for anyone twelve and up. It will make you think. My heart, however, still belongs to Midwinterblood. As a librarian, I rarely buy books, and when I do, I have usually read them already and know that they are the cream of the crop. 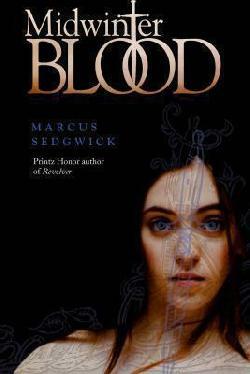 I happily purchased a copy of Midwinterblood with the thick, gold Printz medal on the front and chatted with Marcus Sedgwick as he signed the black title page with a silver pen. It is now sitting on the “signed editions” shelf of my bookcase. I can’t wait to read it again! Disclaimer: I read a library copy of She Is Not Invisible. Opinions expressed are solely my own and do not reflect those of my employer or anyone else.